Welcome back to campus, Bulldogs! After a long, relaxing break, you may notice a few changes around campus. Here’s what they are. A new university president was approved by the University of Minnesota Regents on December 18, 2018. Joan Gabel will take office on July 1, 2019, after current president Eric Kaler retires on June 30. The furniture in Kirby Student Center was rearranged after noise complaints were made by offices on the porch. High tables outside of the offices were moved and replaced by chairs and couches to deter large groups of students. A new sign was erected outside of the food court. The updated sign replaced the older version that is still seen throughout hallways on campus. 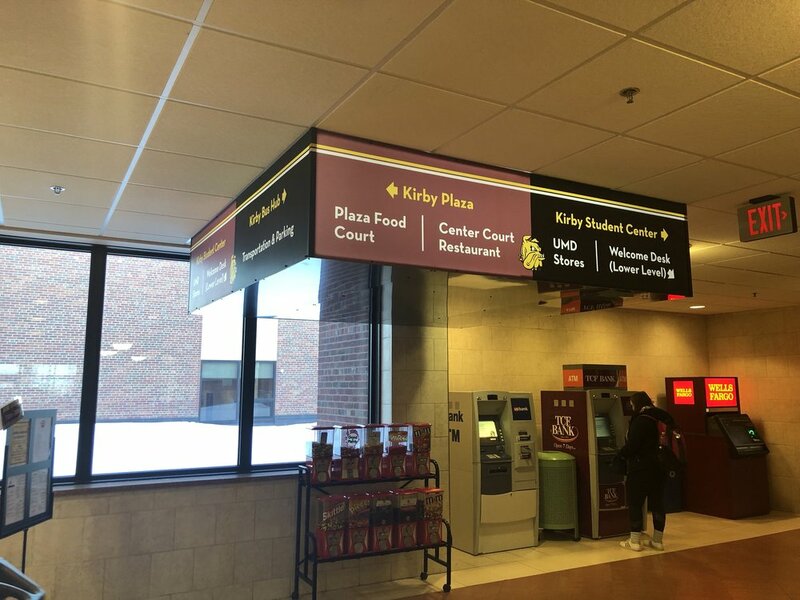 The Lake Superior Hall vending machines were relocated in order to update the space. The ceilings were replaced. The vending machines were moved to a different section of the hallway. 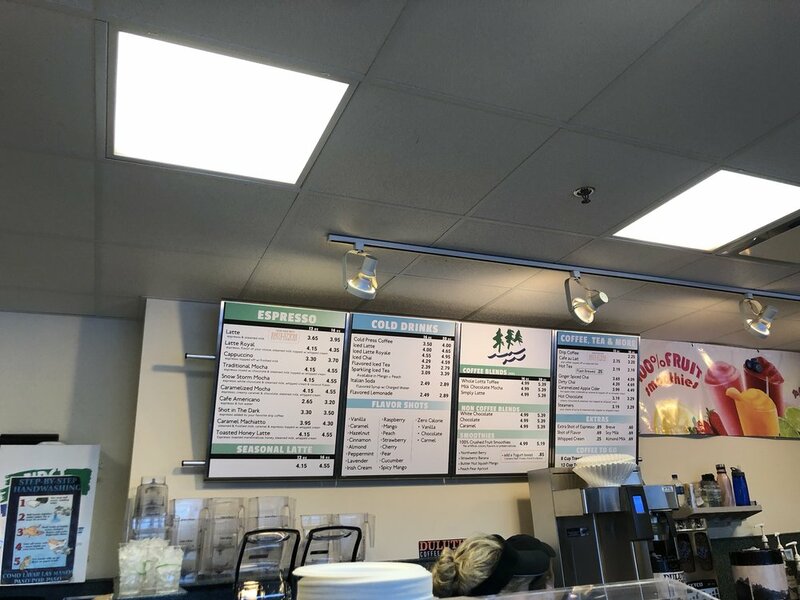 The menus in Northern Shores Coffee have been replaced and updated. 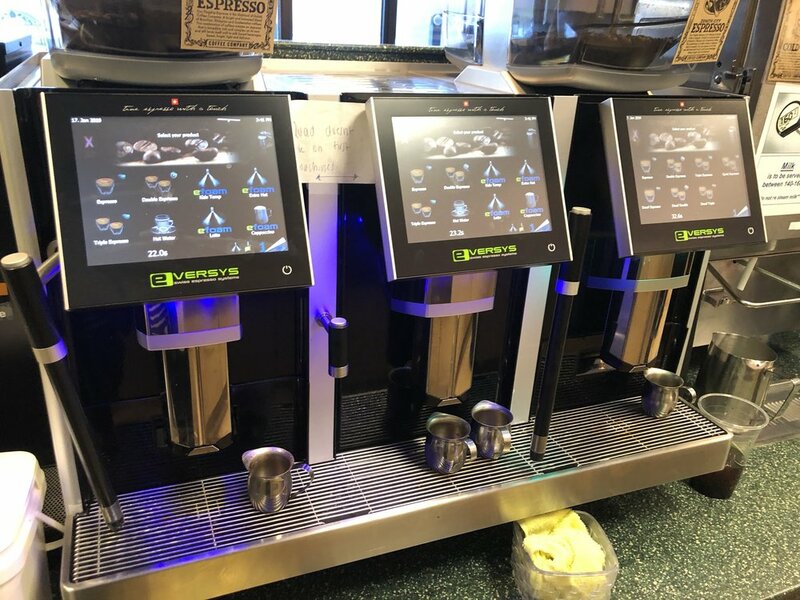 The coffee shop also replaced several of their espresso machines. It is now serving Duluth Coffee Co. coffee. Check back for a story update at a later date. 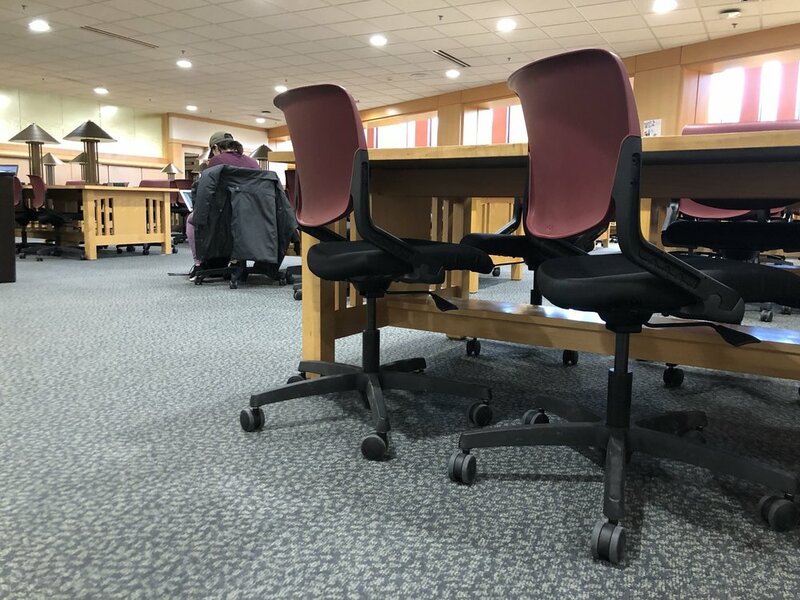 The chairs on the first floor of the library were replaced with newer versions. ITSS updated the campus printing procedures. Check out this website for more information.